(NaturalNews) While vaccine makers and drug companies are rushing to bring medical interventions to the market that might address the Ebola pandemic, there's already a technology available right now that can kill Ebola in just two minutes in hospitals, quarantine centers, commercial offices and even public schools. Ebola, just like most other viruses, are quickly destroyed by UV light. That's why Ebola likes to spread in dark places where sunlight doesn't reach. 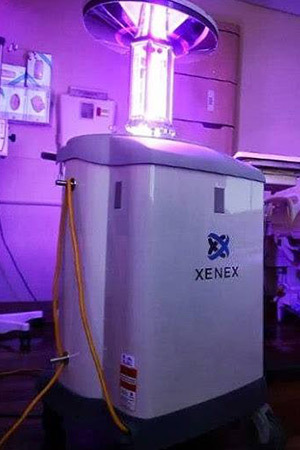 (Think of Ebola as a "vampire" virus that feeds off human blood but shuns sunlight...) The Xenex robot destroys Ebola on surfaces in just two minutes, zapping them with a specific wavelength of UV light at concentrations that are 25,000 times higher than natural sunlight. The base price of the Xenex unit is around $100,000, and the unit pays for itself very quickly by preventing expensive infections. 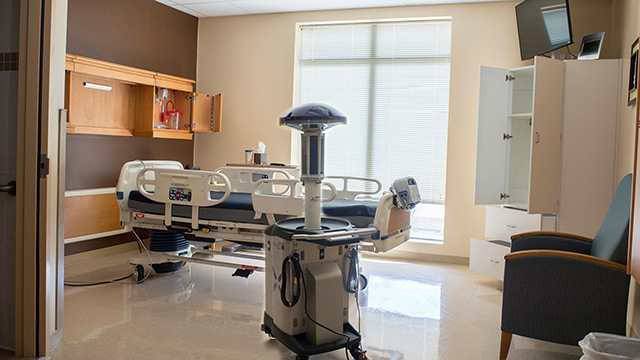 It can disinfect a typical hospital room in about 10 minutes, and it comes with organization and scheduling software that allows hospital staff to keep track of which rooms have been treated.